At 214 feet below sea level in California’s Death Valley, Furnace Creek is the lowest elevation golf course in the world. 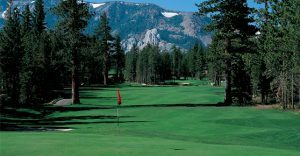 While golf routinely subjects players to psychological highs and lows, an upcoming Summer Solstice limited-field event will also expose participants to California’s most extreme physical conditions. In what’s called the Hell 2 Heaven Golf Challenge, 36 two-person teams compete over 36 holes played in a single day, at the depths of Death Valley in the morning and then at the state’s highest elevation course at Mammoth Lakes. Benefiting the Prostate Cancer Foundation and the Southern California Golf Associations Junior Golf program, the Hell 2 Heaven Challenge is scheduled for June 21, the date of the Northern Hemisphere’s maximum daylight. After spending the night at Death Valley National Park, golfers attack the Challenge’s purported Hell, over the 18 holes of the Furnace Creek Golf Club, which at 214 feet below sea level is the world’s lowest elevated course. 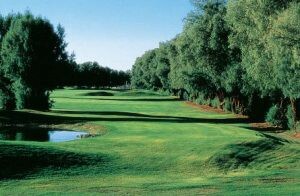 While summer temperatures routinely exceed 115 degrees Fahrenheit during afternoons, Furnace Creek’s fairways are actually generous and quite lush. At more than 8,000 feet, Sierra Star is shines in its eponymous mountain range. The benefit is open to golfers of all skill levels. As noted, the cost for a two-person team is $1,900, but the event is also open to singles, at $950, who will be paired with other individual players. The all-inclusive package includes two nights of accommodations, the two rounds of golf, transportation, meals, a tee-prize package, and much more. The winning team earns a 4-day & 3-night golf getaway package for four, at The Boulders Resort & Spa in Carefree, Arizona. For more information and to take advantage of the early bird registration, visit Hell2HeavenGolfChallenge.com.